Egypt's interim President Adly Mansour said on Wednesday that presidential elections will end before July 17, paving the way for parliamentary elections, the president's office said. The statement came following a meeting that took place between Mansour and 13 representatives of political parties to discuss the electoral process and the controversial presidential elections law. The law issued issued last Sunday has drawn critisim from several political factions over Article 7 in the law which makes the Presidential Election Commission’s decisions immune to appeals by other judicial bodies. Critics have accused the new law of contravening Article 97 of the Egyptian constitution, which makes administrative orders liable to judicial appeal. why not parliament and presidential elections at the same time? any excuse doesnt mean its a valid excuse. What i voted for in the constitution was to have elections with 90 days of the referendum passing, not 6 months later. Im not happy about this, i understand that political change doesnt happen overnight but politicians should atleast attempt to change. Could the protest law have something to do with this, allowing the interim gov't to abuse some power? Wouldnt a terrorism law have been enough? Things like that could make people reconsider voting for Sisi, even though it is not his fault. Does the government respect all of its citizens or only ones who blindly follow or have the same interests. 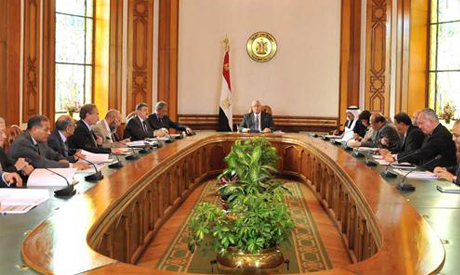 How can we build Egypt to be successful, self-sufficient, islamist-free and UNITED. What if the people want to oust the president before parliament is elected? ?